Whatever your opinions about China, some things are hard to deny: there are some things China does better than anywhere else in the world. Whether that’s good or bad, at least in some cases, is another question altogether. There was a time when eBay was the West’s favorite online shopping spot. Now that’s undoubtedly Amazon. But neither of them can hold a candle to the giant that is Taobao. You can find almost anything you can imagine on Taobao, and many other things you probably never imagined existed. You can shop for clothes, furniture, food, plants — even fake boyfriends and girlfriends. You can pick up sports jerseys for a tenth of the price in some cases, while book-starved foreigners can find most international literature much cheaper on Taobao than in the extortionate bricks and mortar bookstores. It’s reached the point now where whenever someone asks a question about where to get something, you can answer Taobao before they’ve even finished their sentence. In China, Taobao is always the answer. Need to get across town but there are no taxis around? Call a DiDi. Meeting a friend, but you still need to walk for half an hour? Grab a Mobike. China has truly embraced this ride-sharing phenomenon. It seems impossible now that only five years ago, neither of these apps even existed. While the West has Uber and Lyft, neither service can compare to the way that Didi has come to dominate and change the way people travel in China. The West also attempted to roll out the shared bike initiative, but whether due to rampant vandalism or a lack of funding, the sharing economy has yet to really gain a foothold there. That’s not to say that the sharing economy in China is not without its own problems, but for whatever reason, the Middle Kingdom has taken to car and bike sharing much faster, and much more effectively, than the West. Construction: Who said Rome wasn’t built in one day? In China, you often hear locals and veteran expats say stuff like, “This was all farmland 20 years ago” or, “This was a fishing village back in the ‘90s". They may sound like broken records, but they’re right. Sometimes we forget to take a moment and appreciate the monumental pace of construction in this country. Entire subway systems, bigger than anything in London or New York, have gone up in less than two decades. Where once there were old factories and villages, less than 10 years later there’s a skyline to match Tokyo or Hong Kong. Shopping malls appear at a faster rate than you can visit them. While many foreigners often bemoan the Chinese internet and the need to have a VPN to access Netflix or YouTube, they often overlook what Chinese services can offer. It’s not just movies and shows, either. While in the West people spend a small fortune on iTunes or shell out for premium accounts on Spotify, QQ Music offers the best of both services at zero cost. QQ Music users can stream almost any music, create playlists, and even download entire albums to be listened to offline. Do you remember when WeChat first came out? It seems like a lifetime ago now. To some, it was a ripoff of WhatsApp. To others, it was just QQ Chat, but on your phone. But no app has become so central to the way people live their lives in China as WeChat. In the West, people may use Facebook to check what other people are up to, WhatsApp to chat with friends and family, Google to get directions, Apple Pay to pay for stuff. In China, however, people do all these things and much more using only WeChat. Just think about it. How often do you make a phone call or send a text message in China? How often do you go to the bank to withdraw cash? How do you top up your phone? How do you pay your bills or split the check at a restaurant? No instant messaging service or social media platform in the world can compare with WeChat. Karaoke may be a Japanese invention based on an American concept, but China embraced the culture a long time ago and never looked back. 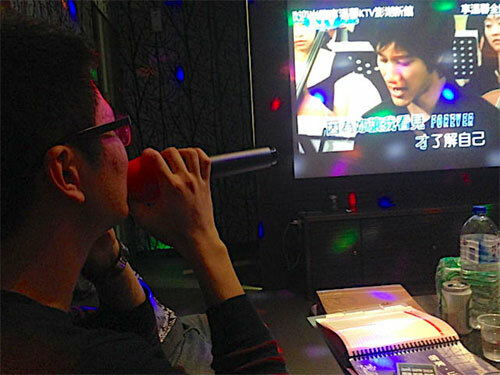 Karaoke, or KTV as it’s known here, is as much a part of the Chinese social life as bars and coffee shops are to the rest of the world. It's where people go to relax. As a result, Chinese people have had a lot of practice singing, and they’re usually pretty good at it. Hands up if you’ve been in this situation before. 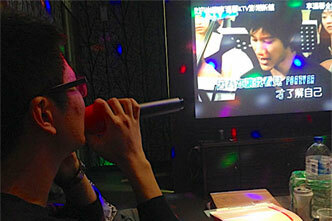 You go to KTV with a bunch of Chinese friends. One by one, they get up and belt out perfect renditions of everything from Canto Pop, to Rihanna, to Guns’n’Roses. You nurse your Tsingtao as the bar gets raised higher and higher until it’s your turn to sing. In the end, you get up and do a drunken and disorderly rendition of Hey Jude. Your Chinese friends clap along out of pity. Most of us from the West grew up with the notion of a work week that was Monday to Friday, nine to five. You were to clock in on time and clock out not a minute late. The weekend, of course, was sacred. Overtime was something for crazy workaholics. Well, if that’s the case, someone forgot to tell the Chinese. There’s no such thing as a nine to five in China. Firstly, it's usually nine to six, and even then, it's more of a rough suggestion than a set schedule. Even the most stable of office jobs may, more often than not, require an extra few hours of work each week. The key is that the work always comes first. “I’m sorry, but my shift finished at 6pm. I’ll do it tomorrow”, is not something you’re ever likely to hear in a Chinese office. The shift ends when the work is finished. No matter if that means working till 9 or 10pm, working Saturday or even Sunday. It could be worse, though. You could be working in South Korea or Japan. China is an amazing and unique country that’s very good at many things. Sometimes that’s good for those who live here, and sometimes, perhaps not so much. Do you agree with our list? Let us know in the comments! What are the Best Paid jobs in China for Foreigners? spiderboenz is right. And I would add that Chinese KTV in China is toward the bottom in Asia. Philippines, Japan, Korea, all have better KTV's. More songs, better environment. also, the country that totally has got sharing down to a tee is Philippines with Grab, especially in Manila. They are so good that they even have an airport stand like regular taxi. What does Pudong have again? Oh yeah cold, unfriendly, rip off chancers. ebay oozes all over taobao and is available in more than 1 language. in fact if China was not so arrogant (something they do nearly better than everyone else, apart from the Dutch) they would make it accessible in English. China does copying things better than anyone else. Infact they are so good at it, some western companies have refused to sell hardware to chinese factories in case they are copied and made in China. And that is an approach that should be taken to shake up this idea that China can do what it likes but still try to be part of the western community! As for KTV - dont think so. Philippines has that crown and has for many many years.Chinese KTV are a fabrication and most do not have many well known western songs, whereas even the most basic backstreet videoke (thats a KTV with video screen and lyrics) bar will have a 120 page catalogue with every song from the 20th century you can think of. But I will agree that one thing China does better than anyone is they think they are better than everyone else. +1 on Spiderboenz's comment. The only thing that China does better than anywhere else is tea. China does tea like nobody's business. 1. Taobao: yes it’s cheap, but chances are fairly high that the product you buy is fake and won’t last long. 2. Sharing economy and Didi: saturation isn’t a good thing. Most shared bike companies have gone bankrupt (and let’s not forget the bicycle graveyards). Didi has a problem with drivers murdering people. 3. Construction: many new things built, so lots of noise pollution, dust, and environmental pollutants. Also, widespread construction for the sake of construction has led to there being millions of abandoned apartments and “ghost cities” throughout China. 4. Streaming services: yes, it’s basically free. Except that most of the videos are “VIP” or above. Also, they are HEAVILY censored, and have messages scrolling across the screen. 5. Social media and mobile apps: seriously?! 6. KTV: whatever. 7. Working hard: You’re joking, right? Have you noticed the 2 hour siesta after lunch that takes place every day? Or how people spend most of the day watching movies/playing on their phones? People stay longer daily because they work st 1/3 normal speed. Where are you finding these Pollyanna FOBs? I'm adding "Pollyanna FOB" to my personal dictionary. Thanks!